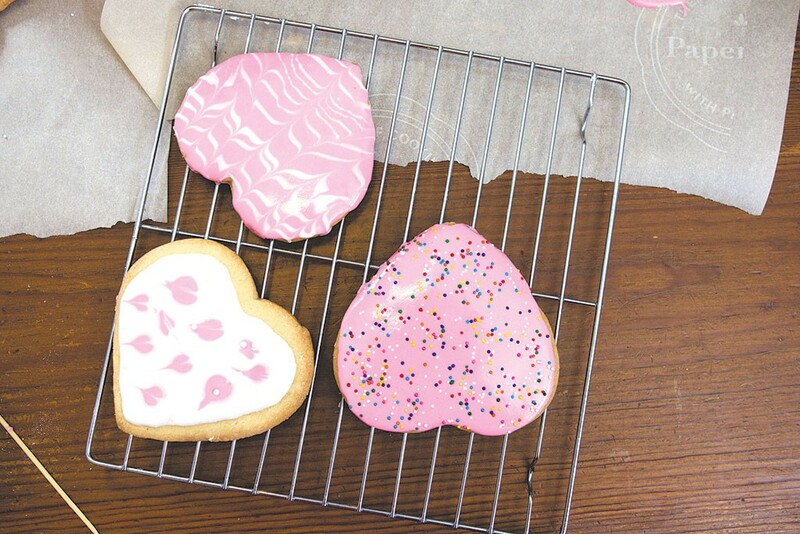 Sweet Treats: Heart-Shaped Cookies | Mealtime | Kids VT - small people, big ideas! In my family, we give each other candy and cards on Valentine's Day. But we also try to celebrate the holiday by doing nice things for people we care about. Last year we gave homemade jelly-candy as gifts. I wanted to give my heart-shaped cookie cutter some love this year, so I decided to make roll-out sugar cookies with my three kids. I set the ambitious goal of making two different kinds: jam-filled Linzer style, and frosted with multicolored royal icing, which is great for decorating since it dries hard. The kids were excited to try the icing, especially after we watched a how-to video on making super-cool designs and I deemed it easy enough. I admit that I was expecting the process to be a smooth one. But I'm known to be a bit overconfident about my baking abilities, especially when I try out a technique for the first time. Well, there were some surprises. 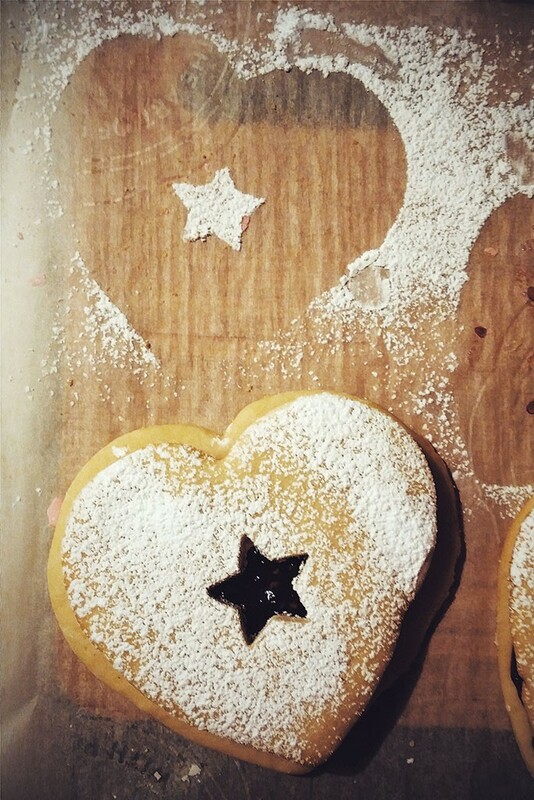 The cookie-dough rolling, cutting and baking was great fun, and the Linzer-cookie construction was a breeze. The royal icing, however, was trickier than expected. We made it too thin — we didn't use enough powdered sugar to start — and our first attempts ended with icing running over the sides of the cookies and onto the table. Our original wavy-striped, polka-dot and tiny-heart designs failed. 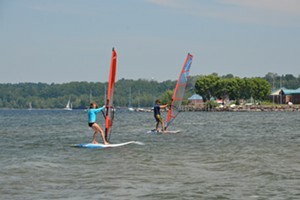 The kids were whiny since I'd convinced them it was going to be easy and fun. My photographer husband, who's usually a cool customer, kept telling us to get out of the way so he could get a good shot. It was not the love-filled Valentine's activity I'd envisioned. But, after I took a deep breath and surveyed the scene, I had to laugh. It was a beautiful mess, with pink and white icing and wonky polka-dot hearts scattered all over the table. When I laughed, everyone else did, too. We all grabbed another cookie and started fresh. The final results weren't as technically perfect as I'd hoped for, but, in the end, the project was a success. All five of us had fun working on it together — a rare event these days. When we were done, 8-year-old Cal said, "You know, I think they're awesome just like they are!" I had to agree, and I think our friends will, too. Mix the powdered sugar, butter, vanilla, almond extract and egg in a stand mixer on medium speed with the paddle attachment, or in a large bowl with a wooden spoon, until well combined and smooth. Stir together the flour, cream of tartar and baking soda in another bowl, then gradually add it to the butter-sugar mixture and beat on low speed, or continue mixing by hand, until combined. The dough will be fairly stiff. Wrap dough in plastic wrap and refrigerate for at least two hours, or overnight. When you're ready to bake, heat oven to 375ºF. Lightly grease two cookie sheets. Divide the dough in half. Roll out each half to about 1/4 inch thick on a lightly floured surface. Cut rolled-out dough into desired shapes with cookie cutters. We went with cutters about 4 inches in diameter to give us more room for decorating. Bake for seven to eight minutes, or until cookie edges are slightly brown. It's better to take them out a bit early rather than a bit late; overcooked cookies break easily. Remove from cookie sheet and cool completely on a wire rack before decorating. To make the Linzer cookies, lay half of the sugar cookies (cooked and cooled) on a baking sheet and spread with a thin layer of raspberry jam, leaving space at the edges. 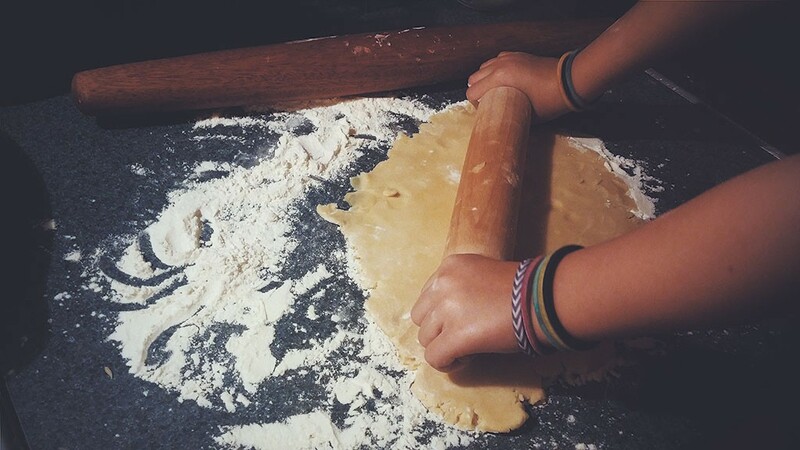 On the remaining cookies, make cutouts with a knife or small cookie cutter and dust well with confectioner's sugar. Place each sugar-dusted cookie face up on top of a jam-covered cookie. Done! This can get messy, so I recommend spreading sheets of parchment paper onto a large surface to catch drips and make cleanup easy. In the bowl of an electric mixer fitted with the paddle attachment, combine sugar and meringue powder or egg whites. Mixing on low speed, add a scant 1/2 cup of water. If you're using egg whites, omit the water and mix on medium speed. Mix until the deep trails made by the paddle stay defined for five seconds when you stop mixing. Put icing in plastic sandwich bags, or pastry bags with small tips, to make designs. If you're using sandwich bags, snip off a tiny corner of the bag with scissors once it's filled. To make colored icing, scoop 1/2 cup into a bowl and add a few drops of food coloring at a time, stirring well, until you reach the desired shade. If you're using just one color, slowly squeeze some icing around the edge of a cookie, then let sit for just a few seconds until the surface of the icing is smooth. Next fill the inside with more icing. Wait a minute or two until the icing is just starting to set, then decorate with sprinkles or candies. If you're using more than one color, put one color of icing into each bag. If you want to try the wet-on-wet decorating technique, apply colors in quick succession; carefully squeeze stripes or dots on top of the base icing before it sets, then run the tip of a toothpick through the dots and lines to make designs.